I knew when I came back into consciousness that all was not right. Anabelle was still curled into me. On the previous evenings when I had risen, she had been pacing near the exit like a caged animal with an expression that was a mixture of anxiety, hunger, and determination. A look that informed me she would be going out. Directly. And I had better not speak a word of opposition. She had all but threatened to stake me if I did not clear her way immediately. She would not listen to any word of caution, nor any request for patience. And yet that evening, there she lay for all the world like a newly made vampire, drowsy long after the sun had relinquished its grip. I bent to inhale her scent. She smelled like Valhalla. It was Sookie with only subtle differences. 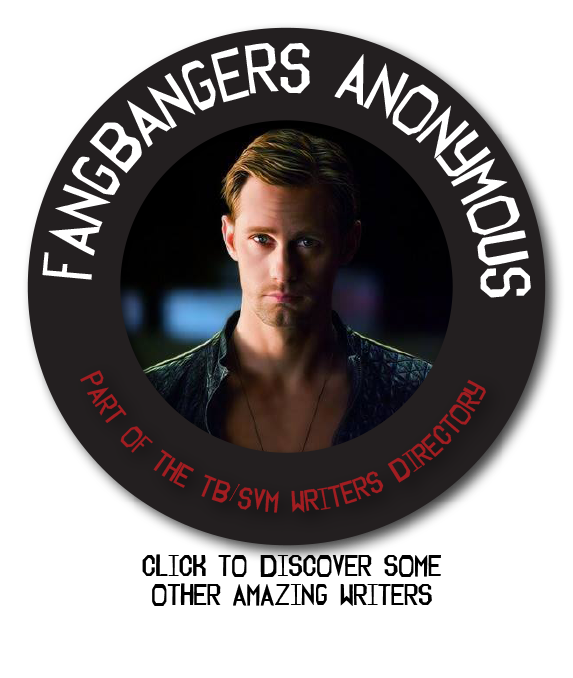 Where Sookie had smelled… womanly, Anabelle had the unmistakable perfume of innocence. The scent of sunlight was more intense, and she had faint earthen notes that Sookie did not. She opened her bleary eyes and looked at me. Her smile was not as bright, and her eyes less luminous. “You are not wanting to whip me with silver for being slow to open the door?” I teased. “The sun is setting as we speak, are you certain you wish to miss it?” I touched the tip of her nose with my lips. “Dear one, when was your last meal?” I was concerned. She needed to take better care of herself when I could not. I tried to remember what human illness looked like. The only illnesses I could recall involved more seeping pustules and death, than general malaise. I leaned back to examine her body for any sign of ailment. I could not help appreciating what I saw, and gave her a fanged smile. By the time I had cleared the path to the door, Pam had risen. And had resumed her staring. I ignored it and escorted Nan outside. She stretched herself toward the sky and closed her eyes, taking deep breaths of the evening air. I thought for a moment she might start her singing ritual, but she stayed silent with eyes shut for some time, focusing on some internal process I could not fathom. As little as I wanted to intrude upon her reverie, I knew we must soon begin night’s tasks. “Nan,” I began, reaching for her arms. This brought me back to the first item of evening business. I scooped her up in my arms. She squealed and protested that she was not an infant, which I ignored. I simply craved the contact. “We must talk now. We have much to discuss.” With that I carried her back into the dimly lit basement. “We’re not leaving?” she asked a little sulkily as I set her on her feet. I did not believe my child cared for a second about human health, but even if the statement was opportunistic it confirmed the concerns I had developed when I rose. Pam actually smiled at Nan. Clearly, she had found an ally, and while it pleased me that she was no longer treating Nan like a rodent, I dreaded the pairing. Their banding together would make my life difficult. Pam would ensure it. “I had a pony when I was a child called Nan,” Pam purred. “You are not helping, Pamela. Do not make me send you out after all.” My irritation level was rising. I took hold of Anabelle’s hand and felt immediate relief. Before I had any chance to formulate what and how much I would tell my child, Nan just started in. “I’m a cluviel d’or. Sookie created me for Eric. I don’t know how, I haven’t figured lots of stuff out, but here I am just a big ol’ wish in a me-shaped package. Indecisive Viking there hasn’t made up his mind what he wants to do with me. Or maybe he has and has something he wants to do first, I’m waiting on plenty of info myself so I can bet you’re pretty pissed off about the wait, sorry. Anyway, Niall didn’t want me to meet Eric and tried to take me away the first night we met. I think he wants to use me for, uh, something, and was mad when I refused to go right away. My cousin tried to tell me to stay away from Eric so I wouldn’t give him the wish. As far as I know, I’m the only cluviel d’or that’s ever been made of person. So we took off and we’re, um, avoiding Niall so he won’t try to take me. I miss anything?” She looked at me. Pam said nothing, only stared at the other blonde woman with a blank mask. “I think you covered the basics. I have a few facts to add.” I sat and pulled Anabelle into my lap. “Niall warned me not to try and claim her. 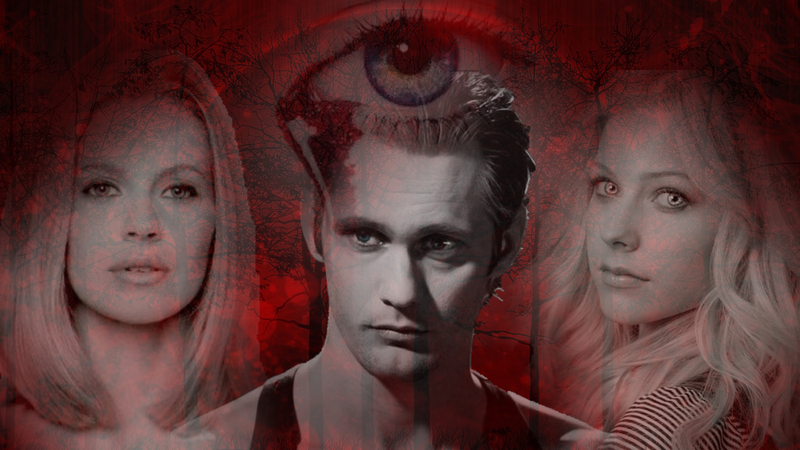 He said that Sookie should have been in her place, but he had not found her in time, and she was… tainted by… my darkness. I cannot attest to the truth or falsehood of the statement, but he… made it clear I was not to risk the same fate for Anabelle. That point is moot, however, as I have her, and she is mine.” My arm tightened around her slender waist. “So, we have a fairy problem,” Pam surmised. “When are fairies anything but?” Nan giggled. Pam grinned toothily at her. I ran my fingers through silky curls, releasing a little burst of intoxicating aroma. I felt my fangs descend partially. “I have a plan for how we deal with the fairy. Moving our nesting site may facilitate it, but I want to continue to keep this location secure. I will be needing it,” Nan looked confused, but Pamela was right in line with my thought process. Iron chains, iron chair, lemon juice, instruments, I sent her silently. She gave me a fraction of a nod. When? Gather them tonight when you feed. “I will be fine, Pamela.” I rubbed my cheek lightly against a delicate shoulder. “Then you must insist he seeks nourishment. It has been too long even for him. I’m sure you will find some way to… persuade him.” With that she walked out. “She really looks out for you, huh?” She touched my face near my eyes with the back of her fingers and let them draw a line down my cheek. “I never really got that relationship. Does that make you like, uh, her father? Lots of people don’t like or help their parents.” Her hands stroked my back aimlessly. “I believe you informed me you also require windows.” I kissed the place between her neck and chin and watched as her quickening pulse throbbed below. I resisted scraping the little pulse point with my sensitive fangs. I did need blood, but it was hard to have an appetite for regular humans when I held her. Or thought of her. Or imagined my fangs piercing her tender flesh. “Windows. Definitely.” She was breathless and an intoxicating shade of red. Thank goodness they will search for a place with windows! Hmm… so Nan can’t feed Eric? Not yet! They’ll figure things out, but they have some challenges they have to figure out first! And Eric Reeeeeallly needs to eat. I get the feeling he is going to need his strength soon!